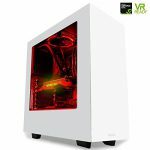 iBUYPOWER AM002i Gaming PC Review, Should You Build Your Own? It’s time to give the iBUYPOWER AM002i gaming PC a review since it’s a big seller on Amazon right now and it’s good to know if it’s worth the price you pay. For the most part, doing a build of your own will save you a lot more money in comparison to the pre-built PCs that are currently on the market and it’s a lot easier to do than you’d think. We’ll be looking at the hardware specs and seeing if this one is worth it! 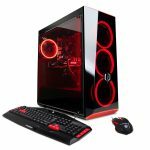 SkyTech Omega Gaming Computer Review, How Much Power Per Dollar Spent? 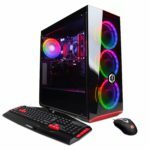 It’s time to review the SkyTech Omega gaming computer since it’s a newer pre-built PC that is getting more and more popular on Amazon each and every day. 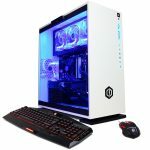 SkyTech is getting better and better with their pre-built gaming PCs, I’ve got to give them that, but you need to be sure that this PC is what you’re looking for and you need to be aware of how much power you’re getting per dollar spent since that’s the most important factor when it comes to purchasing a gaming computer. 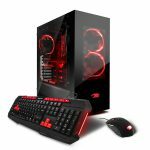 CyberPowerPC Gamer Ultra GUA4500A Gaming Desktop Review, Is It Worth Getting? 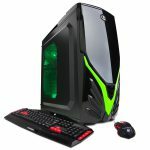 Today I’d like to write a review of the CyberPowerPC Gamer Ultra GUA4500A gaming desktop because it’s fairly new to the market and is promoted as VR ready. I’ll be going into the details behind the hardware in this PC to see if it can really handle VR gaming. At this price point it had better have some pretty awesome hardware inside!